If you are looking for a family doctor, please contact the Saskatchewan Health Authority. View the most up-to-date faculty list. Resident Research Day 2019 will take place on Friday May 31 at 8:30 a.m. in Marquis Hall, University of Saskatchewan. Please see the Resident Research Day memo and powerpoint slides for the abstract template and more information on deadlines and presentation criteria. The Department of Academic Family Medicine at the University of Saskatchewan welcomes you to its website! We hope that the information and the links on these pages will help you become familiar with our department and its programs. Saskatchewan is the home to just over one million people; we have a richly diverse geography and population with many Indigenous people and much multicultural diversity. Family Medicine residency training programs began in Canada in 1966 and in Saskatchewan in 1971. Saskatchewan has trained more than 1,000 family doctors for Saskatchewan and Canada. Our alumni boast a high quality medical education, and are confident to practice in family medicine anywhere in Saskatchewan, nationally, and in the world. We are very proud of our Family Medicine undergraduate, postgraduate, continuing medical education programs, and our rich medical history. From the birthplace of Medicare in 1962 under Tommy Douglas, to Roy J. Romanow’s Q.C.’s final report, “Building on Values, the Future of Health Care in Canada” 2002, and to the present changes at the University of Saskatchewan highlighting medical research through “The Way Forward”, the province of Saskatchewan has been in the forefront of health care for Canadians. The Department of Family Medicine at the College of Medicine in the University of Saskatchewan promotes high quality health care by encouraging and supporting high standards of medical education at all levels. The Department of Family Medicine has 25 University faculty in the core sites of Saskatoon and Regina and 450 dedicated community faculty distributed over our 13 health regions in Saskatchewan. Our faculties hold leadership positions in medical education and research in the College of Medicine, the Saskatoon and Regina Health Regions, Primary Health Care, Continuing Professional Learning, Medico-legal Education, Indigenous Health, and Population Health. The Department is devoted to increasing the number of medical students that choose generalism as a career choice. The goal of the Postgraduate Family Medicine Residency Program is to graduate physicians who are able to practice high quality, evidence informed, and comprehensive care as a family medicine specialist. We have a strong focus on research and scholarship in Family Medicine. All of our postgraduate education residents must complete a research project (with ethics) during their residency program. Residents are exposed to full scope family medicine practice and have opportunities to train in distributed medical education sites such as: La Ronge, Prince Albert, Swift Current, North Battleford, Moose Jaw and other rural and remote sites in the province. The Family Medicine Department hosts postgraduate education Year III Enhanced Skills programs in Emergency Medicine, Surgery and Obstetrics and Gynecology, Anaesthesia, and Sports Medicine. Physicians and students in the department enjoy the benefits of working in a primary health setting with a dynamic interdisciplinary team to support their clinical education and scholarly activities. Our social accountability mandate is to train family physicians to care for the health needs of the underserved urban, rural, and remote populations. In Saskatchewan, all roads lead to learning through our network of dedicated faculty located throughout the province. We recognize that all who work in or come into contact with our department have value and dignity. All are worthy of respect. We believe that our professions, our disciplines, our department, and our programs exist because we genuinely care for those who are in need. We understand that honesty, diligence and truthfulness underlie all authentic and meaningful human interactions. Our relationships with learners and with our patients are based upon trust. It is a relationship that is selfless, altruistic, and loyal. We believe that optimal health enables individuals, families and communities to function to the best of their abilities within their environments. We believe that health care is a fundamental human right. The Department of Academic Family Medicine will play a central role in optimizing health for and with Saskatchewan communities, families, and individuals. Our mission is to create, teach and develop the knowledge, skills and attitudes specific to the discipline of Family Medicine. We will work to optimize health by demonstrating excellence and innovation in service, education and scholarly activity. We will provide university, hospital and community-based education consistent with the principles of Family Medicine. We will focus our efforts on working with communities in response to their health needs. The DAFM faculty are integral participants in all stages of medical education. Some of our faculty have major Undergraduate teaching roles and are involved in putting more generalist content and comprehensive Family Medicine into the MD education curriculum as outlined in The Future of Medical Education in Canada (FMEC): A Collective Vision for MD Education. Enrollment in the College of Medicine at the U of S is currently 100 students per year. The DAFM is engaged in distributed activities beyond the walls of our university institutions. Our Distributed Medical Education (DME) program encompasses a broad definition of activities in undergraduate, postgraduate and continuing medical education. Learners and community teachers are located throughout Saskatchewan. The Department of Family Medicine is highly dedicated to the education of undergraduate medical students. Our involvement spans all phases of the undergraduate curriculum as well as serving in an advisory role to the Family Medicine Club. Requests for electives in Family Medicine are welcomed and accomodated as best as possible. The earlier your request is made, the more likely it is to be successful. A minimum of 6 weeks advance notice is required for electives. Elective forms are available through the Dean's Office, and should be completed and forwarded to the JURSI Co-ordinator for approval and signature. The signed form must then be returned to the Dean's Office. Medical students who might be considering an application to our Family Medicine Residency Program are encouraged to arrange electives either within the Department, or with one of our community preceptors (either rural or urban). Electives done in other provinces are also looked upon favourably. Students wishing to do an elective with a family physician outside the Department of Academic Family Medicine must make their own arrangements. The necessary forms are available from the Dean's Office. Welcome to the Family Medicine Residency program. This program at the University of Saskatchewan is delivered in seven different sites: Saskatoon, Regina, Prince Albert, Swift Current, North Battleford, Moose Jaw, and La Ronge. We also offer our residents the option of a third-year in our Enhanced Skills Program. The main attraction to residency in Saskatchewan is the smallness of the program. Residents don't feel that they have to stand in line for clinical exposure or to do any procedures and there is more room for one-on-one teaching with faculty. Our residents continually comment that they feel as if they are part of a big family in the Department of Academic Family Medicine. The Curriculum is set up according to the College of Family Physicians of Canada standards for accreditation, but there is flexibility built into the program with elective time over the two years. The Department of Family Medicine, University of Saskatchewan, is pleased to offer a R3 program specifically designed to meet the needs of rural communities within Saskatchewan. The Enhanced Surgical Skills program is a one year program based out of Prince Albert, Saskatchewan. 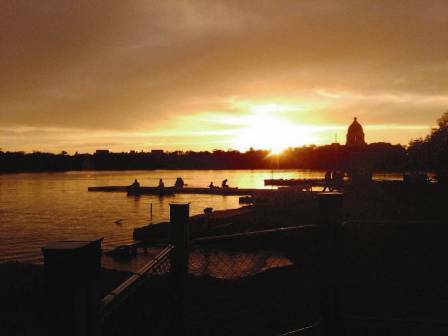 We are a Category 2 R3 program out of the University of Saskatchewan and part of the Department of Family Medicine. The year is a 3rd year residency program offered to family physicians who are wishing to enhance their surgical skills. Our residents spend 6 months in Obstetrics & Gynecology and 6 months in Surgery. The skills are varied for each resident. Residents often come in having already been in practice in a community, so they have specific needs they are trying to fill. Other residents are fresh out of family medicine residency and, depending on the program that they were in prior, have different skills. Our residents typically come out with the ability to perform: operative vaginal delivery, cesarean section, postpartum tubal ligation, laparoscopic tubal ligation, hysteroscopic essure tubal ligation, d and c, Bartholin’s cyst marsupialization, gastroscopy, colonoscopy, open appendectomy, lap appendectomy, open umbilical hernia repair, open inguinal hernia repair, tonsillectomy, carpal tunnel release, removal of lumps and bumps, vasectomy, neonatal circumcision...this list is not all inclusive, but it gives an idea of what kinds of skills the resident obtains. The idea behind a GP with Enhanced Surgical Skills is that we have a narrow focus for procedures that are often needed in smaller communities (especially C-section capabilities). Our residents currently work in Revelstoke, BC, Vanderhoof, BC, Rocky Mountain House, AB, Taber, AB, Pincher Creek, AB, Nunavut, NWT, Meadow Lake, SK, Neepawa, MB and Prince Albert, SK. We accommodate 2 residents each year. Typically, residents will have a community in mind that they would like to practice in. That way, they have an idea of what services that community needs. In addition, it is important that this link is made; as privileging for procedures in each health region and province differs. It is important that your skills are sought after, and you will actually be allowed to practice what you have trained to do! I practice as a Family Doctor with Enhanced Skills in Meadow Lake. I did my Rural Family Medicine training in Prince Albert, prior to entering the program. For more information and inquiries, please contact Dr. Andre Grobler, ESS Training Coordinator. It is recommended that you submit your application by the 31st of October. For application information, please contact Jalene Jepson. The University of Saskatchewan's Family Practice Anesthesia Program is a one year training program in anesthesia. The program is jointly run by the University of Saskatchewan's Departments of Family Medicine and Anesthesia and positions are funded by the University of Saskatchewan's College of Medicine. Funding may also be available from the SMA. Applicants to the program must be eligible for a full licence in the province, to apply. Preference is given to applicants who have worked in Saskatchewan and wish to continue to do so, but this is not necessary for application and there is currently no return of service to Saskatchewan requirement. The residency training is one year long, preferably starting on July 1. Family Practice Anesthesia (FPA) residents essentially join the stream of the University of Saskatchewan's Department of Anesthesia's 5 year anesthesia resident program, with special focus on Family Practice Anesthesia related topics and issues. FPA residents have on-call and research responsibilities. 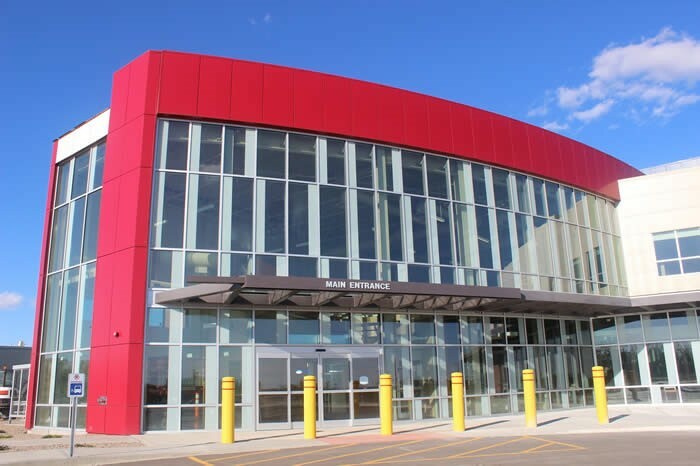 Most of the training is done in the operating theatres in Saskatoon, but at least two months training takes place at the community hospital in Prince Albert, Saskatchewan, with opportunity for up to four months there. Residents rotate through pediatric and obstetric anesthesia, ICU, pre-op consultation as well as regular adult anesthesia. The program has been very successful and we have trained at least one resident for the last 4 years, all of who are currently successfully practicing. We have 2 spots available per year. All rotations are fully integrated (with the exception of specific optional electives). The core clinical experiences take place with local sports medicine physicians in the clinic as well as providing sideline coverage to local sports teams. Residents also work with orthopedic surgeons, a musculoskeletal radiologist, rheumatologists, and physiatrists as part of the training. Electives in other centers or across Canada are encouraged. The goal of the extra year of training is to gain competence in sports medicine and successfully challenge the National Sport and Exercise Medicine exam through the Canadian Academy of Sport and Exercise Medicine. The program is based out of Regina, SK. For more information and inquiries, please contact Dr. Michael Nicholls, Sport and Exercise Medicine Training Coordinator. Please see the CaRMS website for information and applying. The Regina Family Medicine Unit is a primary care clinic located at 172-1621 Albert Street in Regina, Saskatchewan. The Regina Family Medicine Unit is a primary care clinic located near downtown Regina. It is affiliated with the Four Directions Community Health Centre, which is an inner-city primary health clinic focusing on the care of urban underserved patients. All of the physicians have broad-based practices which include inpatient care and half of the faculty provide intrapartum obstetrical care as well. There are only a small number of medical students and Royal College residents training in the city so the physicians involved in the teaching program come to know the residents quite well. The low learner numbers also allow for the flexibility to adapt the program to individual learner needs. The program has recently moved toward a more integrated curriculum by combining community, women's health, obstetrics and family medicine experiences in an extended family medicine block to provide residents with more opportunities for continuity within family medicine. There is considerable elective time in the program which allows residents to organize their program to meet their career goals. 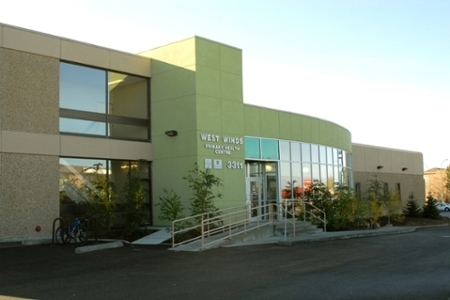 The Family Medicine Residency training program in Saskatoon is centered out of the West Winds Primary Health Centre. This unique endeavor is a partnership between the University of Saskatchewan and the Saskatoon Health Region. It was the first project in Canada where a University and a Health Region jointly deliver primary health care in a neighbourhood setting. Saskatoon has a large population with diverse needs. The interdisciplinary nature of the clinic meets the needs of all people who attend West Winds. Residents are part of the health care team with hands on experience in all aspects of patient care. There is a collegial atmosphere with all community faculty. When residents complete their training, they are equipped with the knowledge and skills to practice anywhere. This is a small program that is flexible and allows you to customize your training to suit your educational needs. The University of Saskatchewan Family Medicine Rural Division was established in 1997 to train Family Medicine Residents interested in gaining the knowledge and experience necessary to practice medicine in rural and remote settings. Our goal is to provide practical hands-on training in locations throughout the province to produce competent and confident rural family physicians. We pride ourselves on being a resident responsive program supported by passionate community preceptors. Victoria Hospital, with its friendly atmosphere supportive of learners, houses the core rotations. It is the major referral center for all of northern Saskatchewan creating a very busy emergency department and obstetrical unit with lots of learning opportunities. Victoria Hospital has 36,000 emergency visits per year and approximately 1,600 deliveries. There is a fascinating array of pathologies seen and ample opportunity to do procedures. The smaller program provides a very collegial atmosphere and the flexibility to tailor your training to meet your individual needs, along with enthusiastic and dedicated preceptors to help facilitate this. Family medicine experiences take place in clinics throughout Prince Albert, with considerable time spent in various rural training sites including remote northern and first nation’s communities. Swift Current Family Medicine is based out of the Associate Medical Clinic and affiliated with the community's new regional hospital. It has a group of enthusiastic and committed teachers leading the program. The program has a strong focus on longitudinal training and residents are based primarily in family medicine throughout their training. The size of the community allows residents to follow their patients throughout the course of their care, be it in the community, a consultant's office or hospital. The city has a number of other visiting medical students and residents throughout the year, however the family medicine residents are the only learners completely based in the community. All clinical experiences are preceptor based and residents have essentially one on one teaching with the faculty. This allows for tremendous learning opportunities and flexibility within the program. The Five Hills Health Region is the newest of the University of Saskatchewan, College of Medicine’s distributed sites for the Family Medicine Residency Program. It has been receiving full-time, geographically-based learners at this level since July 2014. The Dr. F.H. Wigmore Regional Hospital, in addition to the other primary training sites, - the Stadacona Medical Centre and Alliance Health Medical Clinic - has been very receptive to these new learners. The newly completed Regional Hospital provides 24-hour emergency facilities and a broad array of specialist services including; Obstetrics & Gynecology, Pediatrics, General Surgery, Orthopedics, Urology, ICU, Internal Medicine, Ophthalmology, Mental Health & Addictions Services, Radiology, Pathology, and ENT. As such, there are many clinical and educational opportunities available for medical learners in Moose Jaw. With the smaller community size (54,000 total catchment areas) and smaller number of learners, there are many more hands-on experiences than one might find in a larger, urban centre. In addition, there is increased opportunity for procedures and one-on-one interaction with preceptors. With the longitudinal focus of the Triple-C Curriculum, residents are continuously training in Family Medicine throughout their 2-year residencies, following patients throughout the course of their care. By training physicians with this method, a true sense of family practice is achieved, preparing residents who are well-equipped for future practice, whether rural or urban. 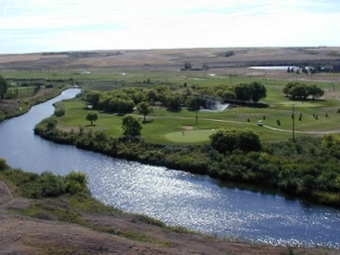 Moose Jaw, while considered rural, has all of the amenities of a typical small city with the added convenience of being a half hour drive away from Regina, our province’s capital city and the second largest urban centre in Saskatchewan. Included in the facilities of the new hospital building, there is a state-of-the-art Family Medicine Resident classroom equipped with modular furniture, videoconferencing equipment, teleconferencing equipment and internet access. Click here for more information. The North Battleford Family Medicine Residency Program is based out of the North Battleford Medical Clinic which is located at the Primary Health Centre. The clinic operates in a large modern facility recently constructed and in a convenient location with close proximity to newly constructed recreational facilities and other amenities. Eight Family Physicians and one Nurse Pratitioner provide patient care and services at the clinic. The phsyicains and NP operate a dedicated practice and are closely linked to specialists in the Community and to the Battlefords Union Hospital. The Practitioners and staff at the clinic are friendly and hardworking. The patient population and scope of practice are diverse. North Battleford is a completely intergrated program. Rural family medicine rotations, electives and selectives may be done at other locations. Residents will have the opportunity to learn about other specialites from a Family Medicine perspective making the exposure the Resident receives as relevant and as practical as possible. The North Battleford Medical Community hosts a number of other learners throughout the academic year optimizing the learning experience. al workers, a registered dietitian and a diabetes educator. 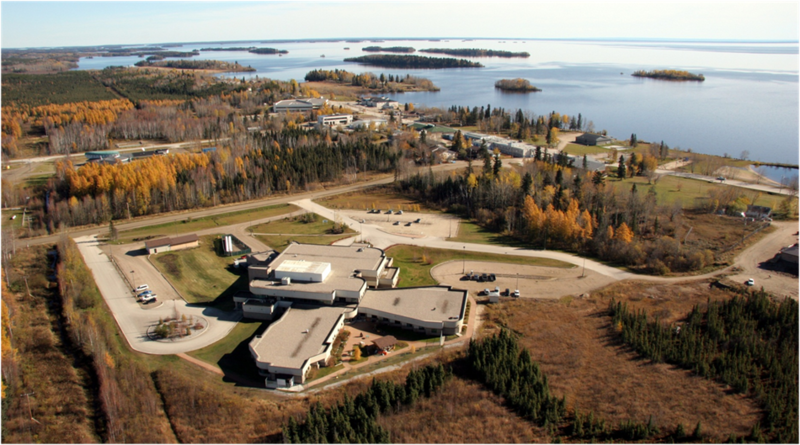 The Clinic serves a population of over 14,000 patients from Northern Saskatchewan. In addition to providing clinical services Monday to Friday, physicians in La Ronge also perform regular flyout clinics to the communities of Pinehouse, Southend, Stanley Mission and Wollaston Lake along with providing 24/7 oncall coverage and hospital-based care through the La Ronge Health Centre. A 75 patient methadone maintenance and HIV/Hep C support program also operates through the clinic. The La Ronge Medical Clinic is affiliated with the University of Saskatchewan and Northern Medical Services and serves as a training site for 30+ medical students and residents each year from the University of Saskatchewan's College of Medicine. In addition, we accept elective placements from other Canadian and International medical schools. Individuals, groups, organizations and networks locally, provincially, nationally, and globally. The Research Division also facilitates a Primary Health Care Research Group (PHC-RG) whose research focus is on using participatory, community-based approaches to develop, strengthen and expand effective primary health care in Saskatchewan. Primary health care was designed to go beyond sickness care to assisting Canadians (individuals, communities, health care practitioners and the health care system) to build on current preventive practices and facilitate healthy choices. PHC-RG strives to contribute to the reorientation of health services away from acute care and more towards prevention and promotion. This requires both understanding and action related to bridging gaps between individuals/communities, health care practitioners, decision-makers, policy makers and the health care system. Community-based participatory research methods are a viable option for building sustainable change that would contribute to the long-term health and wellbeing of Saskatchewan. Thank you to everyone who participated in the 2019 Faculty Research Day. We invite you to join us at next years event. Please note there will be more information to follow closer to the date. For information regarding academic programming, please see below.